You may have wondered why my blog is named, "CoffeewithGames". I can remember starting to drink coffee in the sixth grade. My coffee would be fixed up with cream/sweetener. In high school, some friends and I would go to IHOP late at night, and we would almost always get the "Never Empty Coffee Pot", sometimes I would use cream/sugar, sometimes I would drink it regular. In 2003 when I was still living in Louisiana, I started going to a local coffee shop almost on a daily basis. I would get a cup of coffee and while I was drinking the coffee, I would usually play a game(or two) of chess at the coffee shop. Many years later, in 2010, I'm still drinking coffee daily! I ended up making an email address, followed by an account on GoNintendo.com a few years back, and my email/username was/is, CoffeewithChess. I haven't played a game of chess in a while, but I do play video games on a regular basis. When I'm on the computer chatting/commenting on video game stories, I usually have a cup of coffee sitting on the computer desk(as I do now @ 12:58AM on 3-22-10). When I was setting up this blog last year, I was trying to decide on a name, and ended up replacing "chess" with "games", from my normal username on different sites. I created a few banners(one seen in this post) for my blog, using a cup with coffee in it as the center logo. 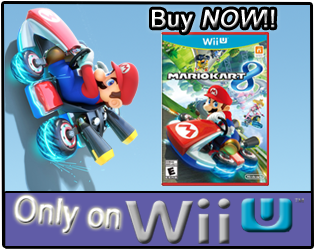 Then a reader known as, ArakniD, from GoNintendo.com visited my blog one day, and created the current banner used on the site, without me even asking him to do it! It was/is greatly appreciated! Coffee is my drink of choice most days. If I don't have at least one cup of coffee in a 12-24 hour period, I usually end up with a migraine. I enjoy playing videos games, and reading news about the video game industry. I remember first getting into gaming, when my dad bought my brother and me the NES system, with the Mario/Duck Hunt bundle. My "addiction" to the video game world has continued ever since. Luckily, I don't get a migraine if I don't play a game within a 12-24 hour period! When I'm playing a video game I usually have a pot of coffee on, so if I pause the game or come to the end of a level, I can easily get up and go get another cup. 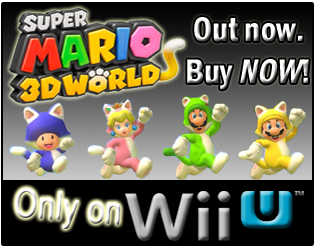 In my first video I created for the blog using my capture device, my wife and I were playing New Super Mario Bros. Wii , I actually say near the very end of the video, "...I'm gonna go get some coffee." The line wasn't planned, and there really was coffee in the pot. I didn't even realize I had said it, until I was putting the video and audio together. A few weeks ago, my wife decided she was going to start tracking how much coffee we(I) drink. She had purchased us a container of Folgers "French Roast" coffee(pictured below), that's a medium-dark roast. She wrote, "op: 2-14-10", on the coffee container the day I opened it, but she didn't tell me she had written anything on it. A few days later, I noticed it written on the coffee container, and realized what she was doing. The meaning of it was simple, "Opened on February 14, 2010". On Friday, February 26, 2010, the coffee container was empty! How much coffee was in the container originally? Well, the coffee case reads, "MAKES UP TO 240 6 FL OZ CUPS" or "1 LB 11.8 OZ" of coffee. So, in a matter of 12 days, we had gone through 240 cups of coffee! Now, my wife usually drinks just one cup of coffee per day when she's leaving for work. Sometimes, rarely, she'll have a cup of coffee when she gets home from work. So, if she had 2 cups of coffee per day, over the 12 day period, that would be 24 cups of coffee. Also, I know one night I brought some to a friend's house(Cansecoholic), and he and I drank about 8 cups between the two of us. What about the other 208 cups of coffee? Well, our ten month old son doesn't drink coffee(yet), so I know he didn't drink any of those cups. When the first container was emptied on February 26, 2010, I opened the next container of Folgers coffee. My wife had bought us the "Brazillian Blend", a medium roast(pictured below). Again, the container was the same as the first in amount of coffee it made, "...UP TO 240 6 FL OZ CUPS", containing "1 LB 11.8 OZ" of coffee. I thought to myself after realizing how much I drank from the first container, "I'm going to slow down with this one." Well, on March 11, 2010, the second container was empty. Just 13 days after I had opened it! So, 240 cups of coffee in 13 days! At least it lasted one more day, right? Again, my wife averaged the same one cup per day, and she even skipped a few days during this time. So, let's say she had 26 cups of coffee during the 13 days, that would leave 214 cups of coffee for somebody else to have finished off. During the 25 day period, I completed Mirror's Edge on my PS3, and I played a few hours of Rabbids Go Home on the Wii, before I had to return it. My wife played some Animal Crossing: City Folk , and she also played Rabbids Go Home as well. In the period of 25 days, I drank about 422 cups of coffee(give or take a few). Averaging about 16 cups per day. You may be thinking, "Is that a normal amount to drink?" I don't know, but I think it's on the high side from what I've heard from friends and family. Also, I should probably note that I now drink about 99% of my coffee just freshly brewed, no sugar or cream added in it. Coffee is my drink of choice when gaming, and just during my normal daily routine. What is your drink of choice when gaming? If you like coffee, do you drink it regular? Or do you add cream/sugar to it? Do you have a favorite brand of coffee(as I know some of you prefer Dunkin' Donuts)? 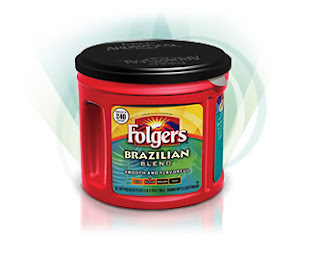 Picture of the Folgers Brazillian Blend captured from Folgers.com. The IHOP "Never Empty Coffee Pot" picture captured from IHOP.com. Haha, this was an excellent read, m8. My jaw almost dropped when I read how much coffee you drink on a daily basis. I suppose you could say the name suits you, lol. I'm glad you posted this because it lets us get to know you a little better and I'm lookin' forward to the future of the blog. I have to admit that I am NOT a coffee drinker. But put a cup of hot tea with milk and sugar in front of me and you best step away :). There's nothing more relaxing than pwning some n00blets and drinking some hot tea (any flavor really), and I prefer that over any beverage, including the stereotypical Mountain Dew. I do not, however, drink 15+ cups a day. But I sort of want to start now. Are you shaking right now? This is a hilarious read. 16 cups a day!? The average caffeine in a cup of coffee is 90-150 mg. So let's do some more math. If you drink 16 cups which is roughly 6oz each, that's 16 x 90 = 1440 mg of caffeine in a day. Reading an article on http://www.talkaboutcoffee.com/how_much_is_too_much.html they say that a moderate amount is 200-300 mg of caffeine a day. You're insane with your almost 5 times the moderate consumption rate of caffeine!! If we're only labeling 6 oz as one cup of coffee then I drink 4 cups because I have a 24 oz cup I fill up in the morning. Of course a lot of people fill up that 24 oz cup and say, "Yeah, I only drink 1 cup of coffee a day." I only drink it black, that way you can actually taste the different flavors. The wife puts different flavor coffee mate creamer in hers and they only taste like the creamer to her. Check out this episode CWG, you will get a laugh out of it. Ugh, cant link the video, but on this site go to season two, watch the episode "Gnomes". @keith, we should definately change his name from CWG to tweak. That is awesome!! Way down the list....Starbucks. Their actual coffee is terrible. I get up early every morning and brew a mug and play a game to get my brain going. I use a little skim milk and a little sugar. Just something to sweeten it slightly and cool it enough to drink it straight away. Thats my gamer fuel. I'm rockin' one of those Folger's tubs right now, I can see that lasting me a while. I'm liking it a lot. Its about the same price as the zip top Dunkin Donuts bag but maybe 2 or 3 times as much good stuff. @CWG - so do you or Mrs. CWG spend a lot of time at Brewster's in Animal Crossing. I don't know what it is, but I'll have sessions with that game where all I do is pop in there and drop 200 bells. It accomplishes absolutely nothing for me in the game, but somehow getting a virtual coffee fix is worth my time. Except when there's pigeon milk involved. Blech! @DEgamer - this is totally off topic, but I got a kick out of how you spelled doughnuts instead of donuts. You know, like the proper english spelling. I begrudgingly write "THRU" several times a day on my CAD drawings at work. Funny how thats an industry standardized spelling for something that ends up in essence becoming a legal document. I don't know, just felt like sharing my quirky little pet peeve for some reason. So yeah, fight the oppressive power that is intentional misspellings. I do drink tea occasionally, but I've never done it with milk in it. I guess I should have stated my wife does use coffee creamers and sugar in hers most of the time, just like your wife. LOL, they also have an episode titled "COFFEEE". I think Tweek has other issues than coffee causing his twitching. I agree about Starbucks coffee. Their coffee is extremely bitter/burnt in my opinion(and others, http://unchainedinamerica.com/uia_dan/2009/05/28/why-starbucks-coffee-tastes-bitter-and-burnt/). Mrs. CWG plays Animal Crossing almost weekly. She goes to Brewster's, but not every time she plays. As for the Folgers coffee though, I agree the tubs are a nice size, and the coffee is pretty good for the price.